​​If you haven't seen Black Panther yet, you're doing yourself a serious injustice. Not only did the film break box office records, it's also coming in with guns blazing for some rightfully deserved Oscar noms. According to ​Complex, Disney is campaigning hard for Black Panther to be nominated for all of the Oscar categories. Disney shared its For Your Consideration, detailing all of the categories ​Black Panther's submitted for this year's Academy Awards, and it is by no means a short list. According to Entertainment Weekly, the Marvel film's submitted categories include: Best Picture, Best Director, Best Adapted Screenplay, Cinematography, Film Editing, Costume Design, Visual Effects, Original Score, and Original Song for Kendrick Lamar and SZA’s “All The Stars." 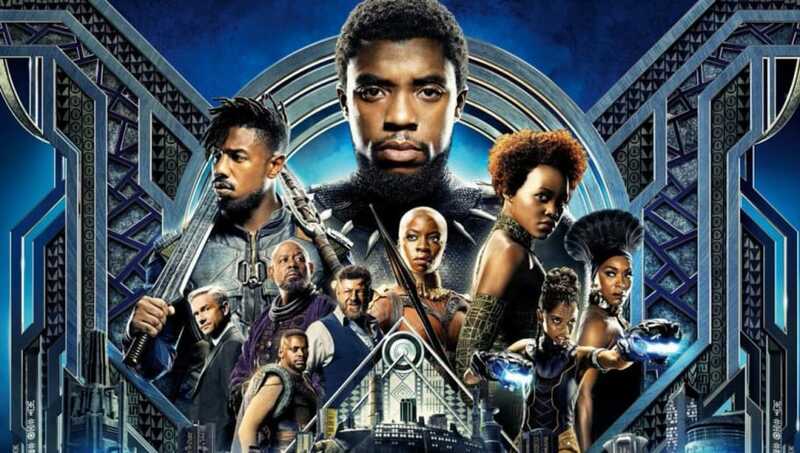 Included in the submitted ​Black Panther actor nominations are: Best Actor for Chadwick Boseman, Best Supporting Actor submitted for Michael B. Jordan, Daniel Kaluuya, Winston Duke, Sterling K. Brown, Forest Whitaker, Martin Freeman, and Andy Serkis, and finally, Best Actress for Lupita Nyong’o, Danai Gurira, Letitia Wright, and Angela Bassett. While few superhero movies are able to break the elitist ways of the Oscars, if Black Panther wins an Academy Award, it will be the first film in the ​Marvel Cinematic Universe to do so. The Academy Award nominations go live Jan. 2019, and the ceremony will take place Feb. 24 2019. Here's hoping we see superhero history being made! Wakanda forever.